Exclusive interview for SPINOFF.COM with Hans Henrik Christensen, Vice President of Dtec, Dubai Silicon Oasis Authority, an integrated free zone technology park that creates an entrepreneurial ecosystem to build the company in UAE and supports startups with everything they need. SOC: Dear Mr. Christensen, thank you very much for dedicating your time to this interview. We would like to start with the overview of Dubai Technology Entrepreneur Centre or Dtec, the epicentre of entrepreneurship and innovation in the UAE. Could you please elaborate on the story of its creation and the team? Mr. Christensen: Thank you very much for having me on today. Dtec is the department that belongs 100% to Dubai Silicon Oasis Authority which is a technology-free zone in Dubai. 7.2 square kilometre free zone with about 60,000 people. We started 11-12 years ago with this free zone and about 6-7 years ago we started ramping up our efforts to foster entrepreneurship and innovation. That started with an incubator called Silicon Oasis Founders which I started from scratch. Then we expanded into creating a coworking space adding events, corporate innovation with labs, corporate services and acceleration. Today, we are a team of 16+ professionals that are focused on supporting 820+ tech startups in getting traction in the market helping to solve their challenges and drive especially digital innovation forward in the UAE. SOC: Mr. Christensen. We had a glance at your website and found a plenty of services that you provide to startups and entrepreneurs. Could you please describe your services in more details? Mr. Christensen: We have a six-pillar strategy and basically all of them deal with somehow engaging innovation and fostering entrepreneurship. Let me give you one example. First, we do acceleration that is offering some investment support. Our award-winning accelerator is called Dubai Smart City Accelerator that is run by Startupbootcamp, the largest chain of accelerators outside the U.S. for IoT & Connectivity, Urban Automation & Mobility, Artificial Intelligence, Blockchain, Open Data, Sustainable Cities & Living, and Smart Government. If you're good and you think you have what it takes, you can apply to Smart City Accelerator and be one of ten for each cohort that goes through this accelerator. We also have Intel’s Ignition Lab where you can go and get support with whatever it is that you're developing if it has a link or some connection to the Intel gateways or Internet of Things (IoT). Intel can support you which is a great corporate to have as a partner. On top of that, we have more than 100 events here per year. 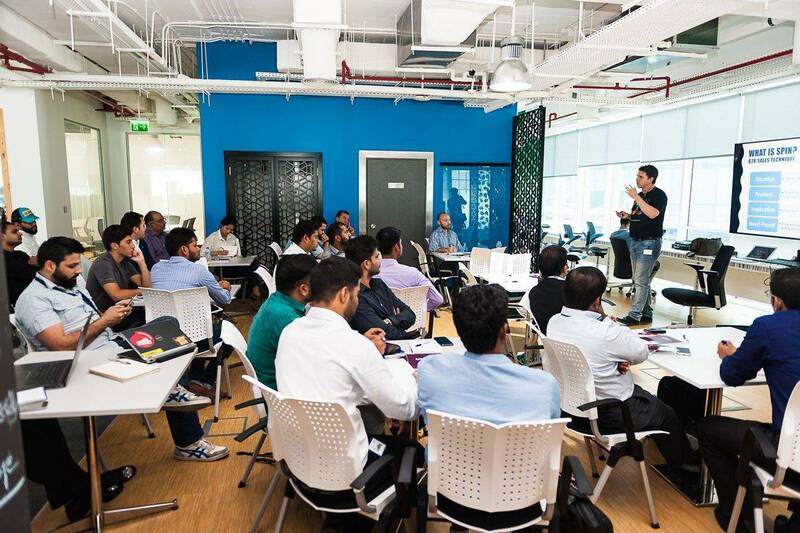 Together with global partners, Dtec offers a lot of learning programmes and workshops about AI, the blockchain, finance, legal and all other topics that entrepreneurs need. We have partners that can help the startups in moving forward or bringing them up to speed or bringing the knowledge they lack. Most startups we have here are technical and sometimes they don't have business skills so it appears that the business skills training is among the most popular. There is also a lot of technical training as well. We are partnering with institutions such as London Business School, that create courses here and also individual mentors and coaches who want to help the startup scene. We just launched a mentors' site which is very popular around the world. It was developed and spearheaded by a U.S. chain of accelerators. We have a lot of other services as well. I think that's the core apart from offering a lot workspace where you can get a hot or flexible desk, dedicated or fixed desk or an office at very affordable prices compared to other options in Dubai. SOC: We see lots of possibilities for spinoff founders there and that's why we're here today. Who are welcome to the Dtec? Is there any privilege for specific industries or countries or maybe you have other criteria for project selection? Could you provide some names or examples of such companies along the way? Mr. Christensen: We are open to any tech companies from anywhere in the world. Currently, we have 72 different nationalities. All of the startups should come to our centre. First of all, it has to be an early stage startup. If you're already having scores of people in your venture and earn a lot of revenue then you would need to go to our headquarters for space. But if you are a startup in the tech space then you are right here. You will receive some support in terms of lower rental and licensing prices. We are agnostic in terms of nationality and we focus on startups that are in the software space, in a portal building, web design, IT infrastructure and some others. We have 9 different activities for the startups and we are going to expand the list a little more because we see that there is a demand for more kinds of activities. This has been quite good for us, focusing on not a huge amount of different activities, so that the companies that settle in here are synergetic with the others. There's a reason to be here and there is a reason to deal with some of the companies that are sitting right next to you. This is what makes our proposition so attractive for startups. SOC: Mr. Christensen, as you know the core of SPINOFF.COM operation is a collaboration with science startups called spinoffs that are mainly focused on improving people’s life and health and may benefit the humanity. I remember you've mentioned the medical city. Could you please tell how is your company might be helpful to such companies from our portfolio? Mr. Christensen: We already have companies in the health tech space. One is called the Hyjiya Digital which is somewhat similar to Fitbit. We have seen quite a development in this space. Since they qualify as a software company they are allowed into our space. We have one of the largest hospitals in Dubai being built in Dubai Silicon. It's called Fakeeh Hospital. That's going to be the first smart hospital and is going to partner with very large well-known U.S. multinationals to make it even smarter. We're working with them as well to support the health tech space. It is part of our strategy to support health tech in general. 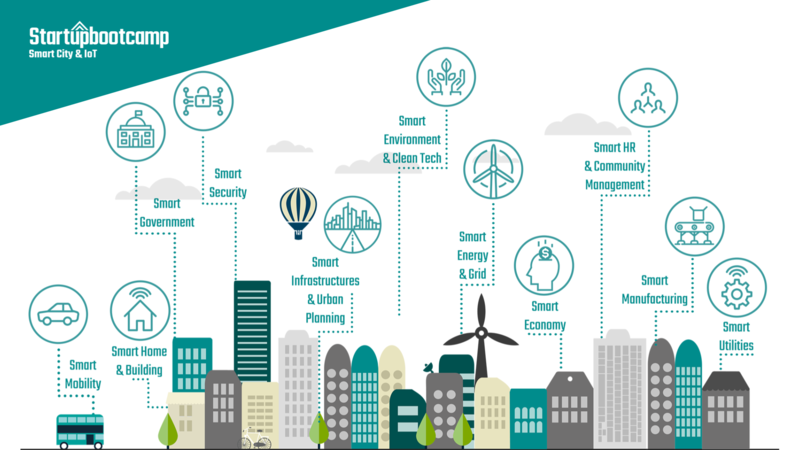 The main strategic pillars of Dubai Silicon Oasis are the smart city, which includes smart living, happy society, and last but not the least, technology hub which is mainly Dtec focused. Desired society strategies are embedded in our DNA. We have a strong desire to create a happy and healthy society which has a great working life balance. We cater toward this social aspect looking for startups that are active in this space. 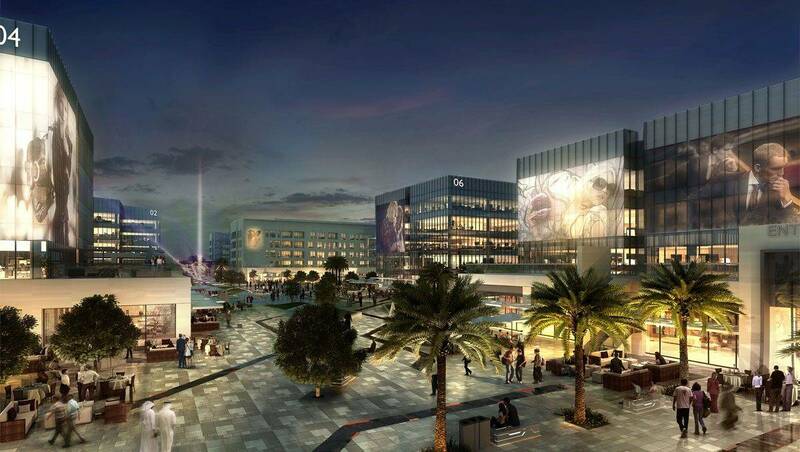 It is a very nascent area in Dubai, but it's coming more and more because the government is supporting this. Dubai Silicon Oasis was the first free zone to have a happiness department. We are really pushing to be the pioneer in this space. SOC: What are the main criteria for startups for you to be able to help with the innovation of Dubai? Mr. Christensen: I would say to have a competitive product. It is not like money is lying around Dubai, one has to work hard to earn money here. We also see that the competition in each and every single sector is increasing rapidly. Twelve months ago, there were not that as many blockchain companies as now. Today, there are scores of such companies offering sometimes very similar services. The first requirement is tenacity. Secondly, you would also need to have enough funding to have the staying power in this region until you get the first deal. There are some institutions that have been created in order to fast-track startups into the government institutions of Dubai. The Dubai Future Accelerator is one such institution. Still there you will be competing with a lot of other companies trying to sell the same services that you have to the government. You need to benchmark and make sure that you have the best value proposition. SOC: We would like also to hear few words about the Venture Capital Unit of the Dubai Silicon Oasis Authority. Mr. Christensen: Dtec Ventures have done around 20+ investments over the past five-six years. We have a portfolio which is relatively stable with a few good performing startups such as Yalla Compare, Insurtech and ShortPoint a software company that now operates in Silicon Valley. We have built up our VC over several years. Some of the ventures that we have invested in are suppliers to Dubai Silicon Oasis today. That's one of the objectives of Dtec Ventures. We have seen hundreds of deals. We don't invest in all of them but we do get to see the hottest ones. We see the market, we know the market, and we feel the market. That's the second objective of Dtec ventures, to be a part of the investment community and to be a player. We are not the most active but we are not a passive investor either. SOC: Could you share with our community what benefits Dtec offers to spinoff founders comparing to other tech hubs. Mr. Christensen: What is special about Dtec, is its six-pillar strategy. We are a one-stop shop. We are not a standalone coworking space. Dtec is an authority where you can avail a visa, company establishment card, license, lease, everything out of one office. On top of that, we are building more and more collaborations with noteworthy multinational corporations like Volkswagen, Intel, Microsoft, Alibaba, Thomson Reuters, IBM etc. These corporations do their events, training and engage with the community out of our centre. That's a very strong proposition that very few have in the rest of the region. We are also expanding our teaching capability. There will be a whole host of new courses coming out that entrepreneurs can sign up to and beef up their learning around how to be an entrepreneur and how to run a company. This is also something that makes us very unique. Last but not least, it's a very nice place that we have. It's not a virtual office, it's a real office and there is as a lot of square meters of comfortable space with modern facilities. We have a lot of different kinds of rooms that you can use when you're here. Most of the other spaces in the UAE are small spaces with a couple of hundred square meters. We have 5000 square meters and we are adding another 5000 square meters soon. That makes us the largest hub in the entire MENA region. SOC: There is no doubt in Dtec superiority. It is not a secret that there are certain peculiarities working and living in Dubai. Could you share some pros and cons of developing the new company there and how the Dtec supports the startups and entrepreneur in this regard? Mr. Christensen: First, there is a cost associated with setting up a company in Dubai. In order to mitigate this, it is better to go to a centre like Dtec. Here you don't need to rent a whole office you can rent a hot desk. This brings the company’s set up price down a lot, this is especially important, during the first months when you're developing your idea and you don't want to spend a lot of money because the money comes directly out of your savings. The second thing you need to look at when you come to Dubai is you're living cost. Some do the mistake saying, 'Oh, here I can buy a car with a big engine and rent a villa.' Obviously, you would need to find a cheap solution to both. That's something one should also be aware of. We have more new buildings coming in Silicon Park. There will be a lot of studios and one-room apartments with kitchen and other facilities. That is the solution for the one who wants to start in Dubai, not to spend a lot of money on the apartment and on personal life while focusing only on starting up. It’s not a secret that if you travel to any of the big cities in the world like London, San Francisco or Tokyo you also pay a lot in rent, but if you have a really fantastic idea then you shouldn't worry about the rental rates in any of those cities because that's where you're going to get funding and you need to be there. Thirdly, in terms of VC funding, we partially lack it in Dubai. Dtec will help you highlight the different investors that are available in this space. You will then need to do as good a pitch as you can. A lot of VC's and investors here are experts that have worked for VC's elsewhere. Although. there's not that much money going around here compared to Europe or USA. You should not expect to receive the same amount of funding as in Silicon Valley. Generally, valuations are a bit lower here in Dubai. If you start in Dubai, the market is much smaller, so you won't be able to scale the same way as if you're starting in a large country. SOC: That's not a secret that spinoff and startup founders don't have enough experience in starting the company and they might feel vague at some stages. Taking into account your vast experience which pieces of advice and maybe warnings you might give to them in the sphere of activity and what mistakes they may avoid cooperating with Dtec? Mr. Christensen: One of the first the first advice that we give startups if they're coming and asking for advice is to keep an open mind. It is a different market here and you need to learn the ropes. It might not work exactly the way that you're used to in your home country. There's one misconception here and that is that there's tons of money floating around and it's easy to get funding. That's not the case. It's as hard here as it is everywhere else in the world. That's one thing. We also advise them that this market might not be a huge market, but it's actually a pretty good market to test your product in since Dubai is all about innovation these days. Then the idea is to expand into some of the very large countries that surround us. Dubai is a place where you can have a nice lifestyle and start your business. Thirdly, although the situation has improved the past years, it is still a challenge to find enough talent for your startup in Dubai. The salary expectation is also higher here compared to Egypt, Lebanon, Jordan or India. SOC: What are the steps to startup or spinoff founder need to take in order to start working in Dtec? Mr. Christensen: First of all, you need to make sure that you bring enough funding for the first phase of your company. Second of all, one would think that the process here in Dubai is a bit bureaucratic, but I can say that it only takes two-three weeks to set up your company. Once you are up and running you're left alone and you can go about doing your business. Be patient. There is a reason for all the questions and all the documents that we are asking for. Don't try to question it. Just provide what you’re requested to submit. In the initial stage, it doesn't all seem logical but it will be logical henceforth over some time when you understand the system better. Setting up a company here in Dubai is very similar from Emirate to Emirate, from free zone to free zone. In terms of market, this is culturally a very different market. In this region of the world you don't necessarily say 'no' in the face of someone but rather you politely say that you will think about it. It is ok to think about saying yes to a deal and take your time. Pushy sales technique, I find are misplaced here. SOC: Thank you and the last question. Money is a critical issue for the rising companies. Young entrepreneurs and spinoff founders take into consideration all the expenses. One of the expected questions from them what is the cost of your services and whether they might receive a certain discount or other financial gains from your company and under which terms if so? Mr. Christensen: The fact that you are tech startup qualifies you for discounts for license and for rental. That was the basis for the formation of Dtec. We also support with special discounts for companies that deal with Islamic economy. It is beneficial for you to start your startup in coworking space like ours where you can find a lot of fellow entrepreneurs who have already accumulated experience of how to do business in this market, which is very different from other markets. If you're self-funded then ensure you have a run rate for a year or more and don't expect that you will find money from anyone else fast. Any investor in this market is spoilt for choice. If it's real estate or whatever it is that you're investing in you would be expecting above average returns compared to the rest of the world in Dubai. The same thing with startups. The investors would rather say, 'If I can't expect a really great return from a venture then I would prefer to just invest it in something safer like real estate.' Just be aware of that before you come. Don't expect to come to Dubai and somebody will invest in you overnight. It’s going to take time and you're going to need to have some traction, some revenue and show that you're really good at running a company and that you have a team before you can expect somebody to invest in you. We would like to express gratitude for the time you have dedicated to our interview. SPINOFF.COM is happy to have such professional and experienced partner among the syndicate members. We are pleased to introduce Dtec to the spinoff founders worldwide so they may benefit to obtain strong support in MENA region and other financial gains for their disruptive technology/product development. Looking forward to mutual cooperation for the benefit of science spinoffs and young companies’ development.